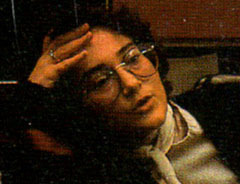 Joanna was a physicist and an archeologist before Jef Raskin hired her as the fifth member of the Macintosh team in September 1980. She was the only marketing person for more than a year, and she made many important contributions, including writing the first draft of the User Interface Guidelines. She's now a mother of two, married to Mac team member Alain Rossman.